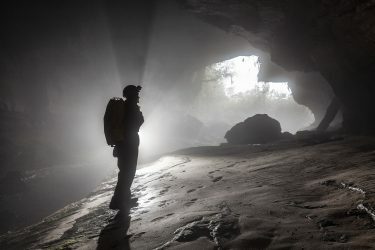 The British Shan Plateau Expedition has just returned from their sixth expedition in seven years with the discovery of the new deepest cave in Myanmar. Photo: Fleur Loveridge. 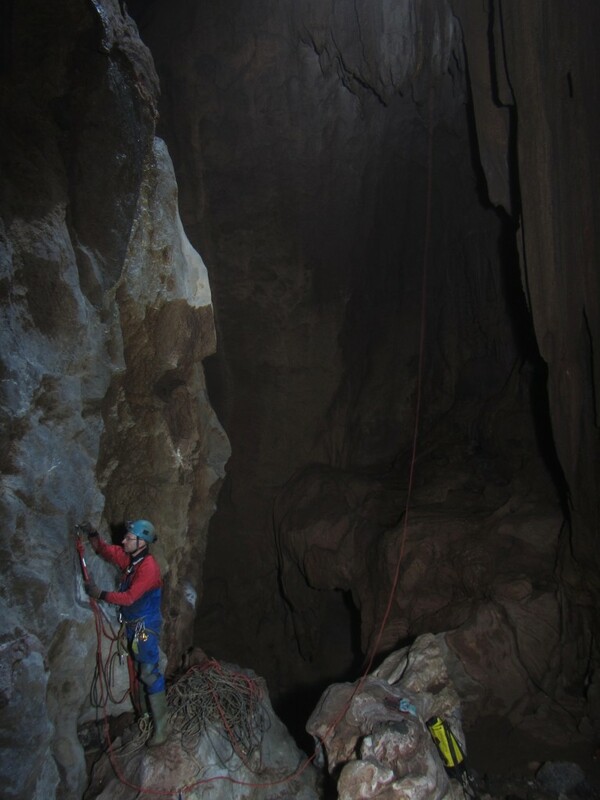 Taken at the base of the 120m shaft (The Dark is Rising), showing Chris Densham rigging the approach to another pitch. The five person team spent three weeks exploring the potential for caves on the western edge of the Shan Plateau, near the town of Ywangan. Initially based near the base of the escarpment. the team checked out resurgences and explored the 1.2km long Phoe Inn Gu. 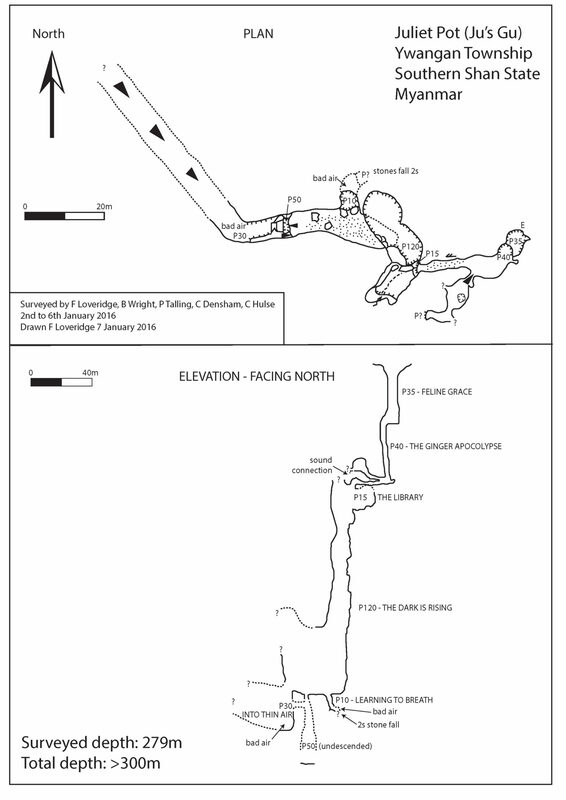 Subsequently they relocated to the top of the plateau in search of shafts that might ultimately connect to the resurgences between 500m and 1400m levels lower down. The highest part of the escarpment only yielded short shafts, but lower down a strongly drafting shaft series was discovered. The cave was named Juliet Pot (or more colloquially Ju’s Gu since Gu means cave in Myanmar) in memory of UBSS caver Juliet Morse who sadly died of cancer two weeks ago on New Year’s Day. Photo: Fleur Loveridge. Taken further up at the top of the shaft in a chamber called The Library. 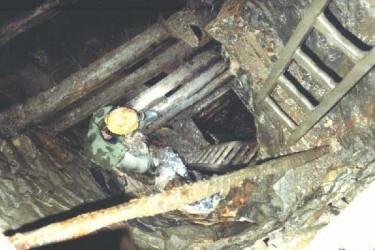 Fine 35m and 40m shafts lead to a short crawl entering the side of a larger chamber via a short pitch. 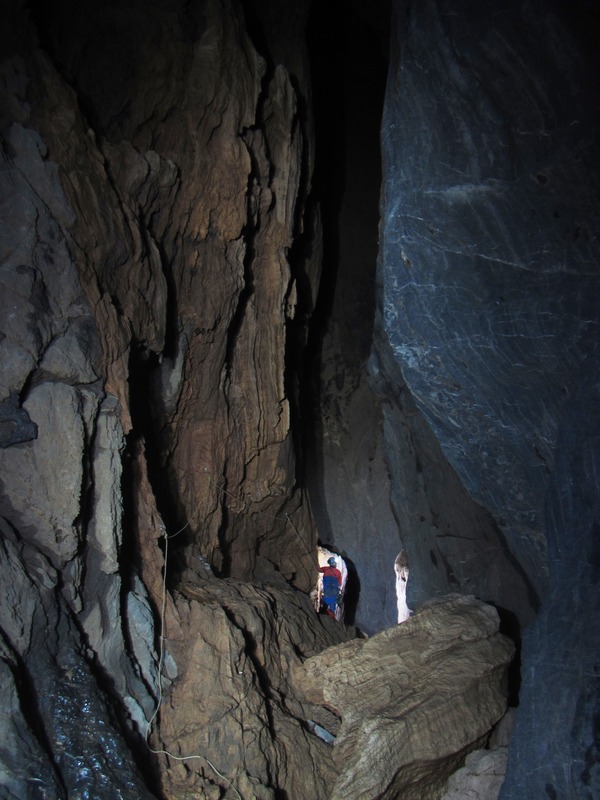 From this chamber an impressive 120m shaft descended rapidly to a large rift passage. From here three further pitches descended, but sadly the draft felt higher up the shaft must disappear up an aven since these lower pitches all lead to sections of bad air, despite the cave continuing both horizontally and vertically. Nonetheless, despite this disappointing obstacle, Ju’s Gu was determined to be 300m deep, approximately twice the depth of the previous deepest cave in Myanmar. 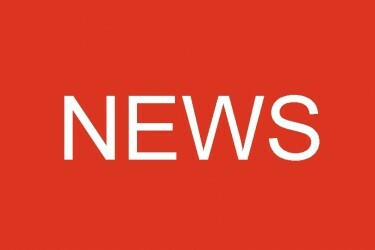 The discovery also highlights the potential for further discoveries of deep potholes in the area. With thanks to Fleur Loveridge for this report.